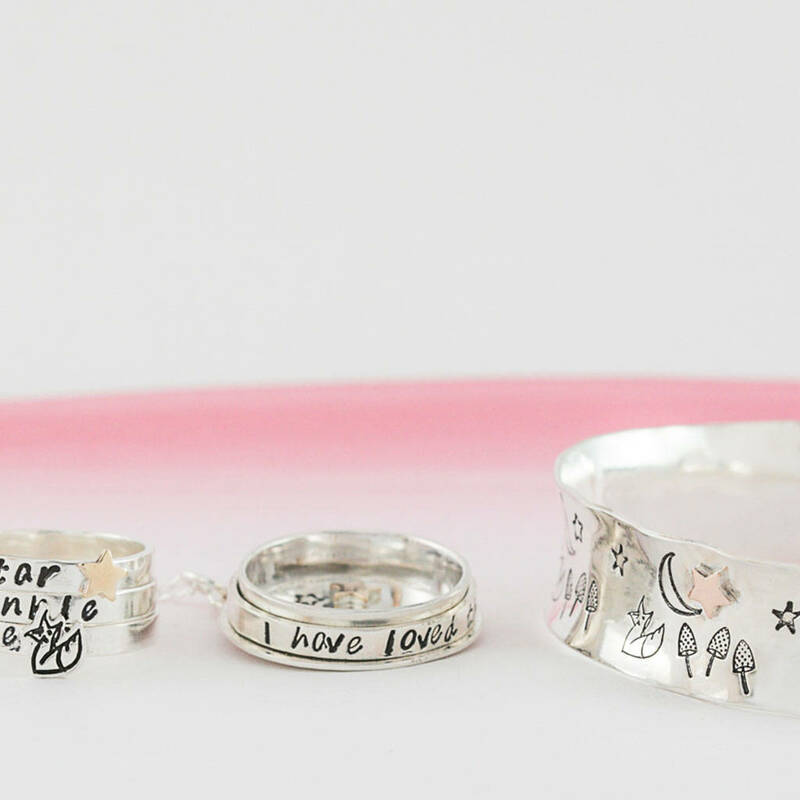 Our beautiful Starry Foxes Story Bangle is part of a new personalised range designed and made by Little Silver Star at our Bristol studios. 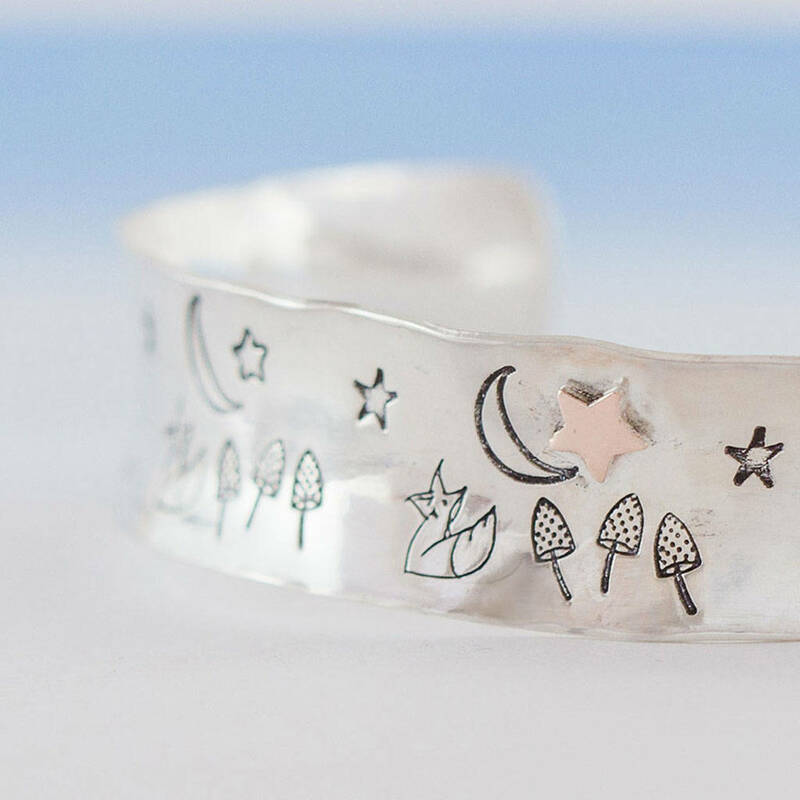 Tell a story on your wrist with this chunky cuff style bangle which is adjustable to fit most wrists. 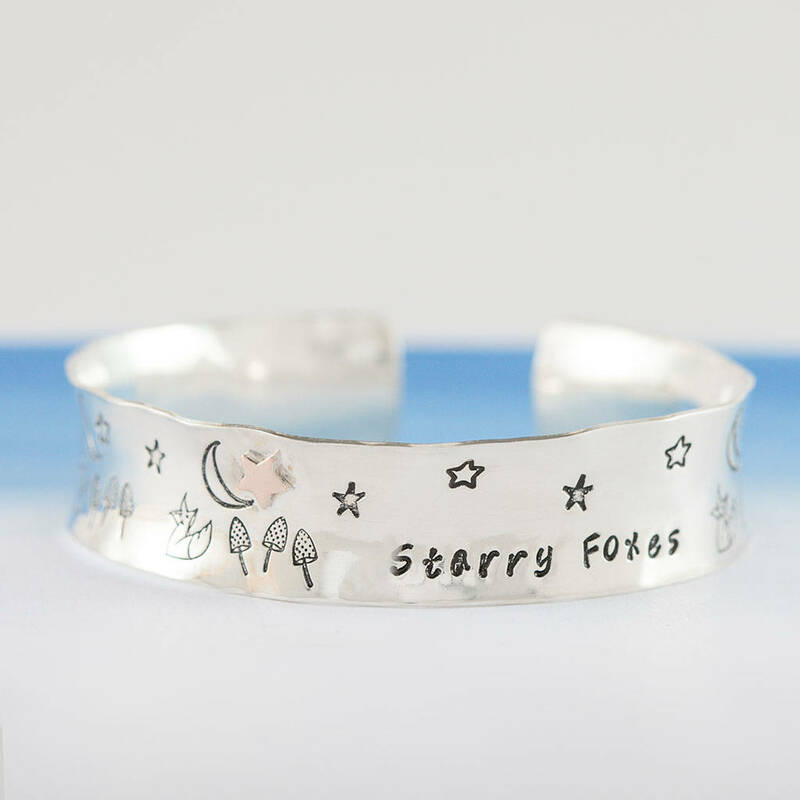 The bangle has been stamped by hand with our exclusive fox and mushroom design and carries a star of your choice; sterling silver, 9ct gold, 9ct rose gold. 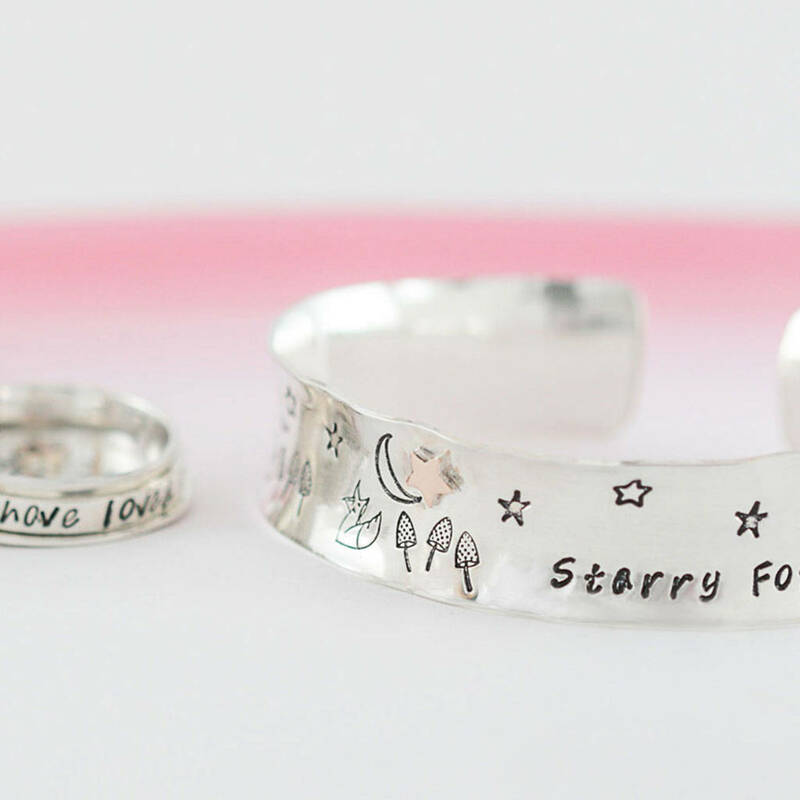 The bangle can also be personalised with 20-30 characters though there is some flexibility as parts of the pattern can be replaced by words.